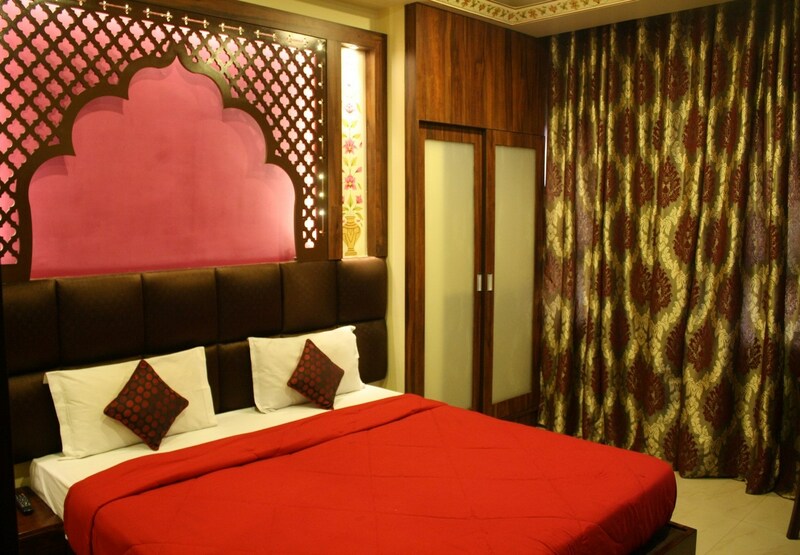 Hotel Shalimar is located in the heart of Rajasthan's famous Pink City of Jaipur. Known for its hospitality and service standards, it's just at the walking distance from the Central Bus Stand, 1km from the Railway Station and M.I. Road. All sightseeing points, shopping markets, CBD etc are located within close vicinity. The hotel is easily accessible through various means of transport available 24 hours and is vey well connected to all parts of the city.Even the popular seminar & convention destination - Birla Auditorium, is only about 2kms from the hotel with a driving time of around 10 minutes.You cannot go wrong with such a strategic location! Relax yourself in our beautifully decorated air-conditioned rooms which are equipped with all luxurious amenities and facilities. Indulge yourself in our mouth watering delicacies at our multicusine restaurant “DAVAT”. Fully equipped conference hall/meeting room "CHITCHAT" will meet all your business needs.Attached BAR - "MADHOSH", will take care of all your 'spirit-ual' needs!